UCLA Baseball heads to College WORLD SERIES! Bruin Baseball heads off to the best of a three series championship, after completely TRAMPLING TCU (10-3 victory). 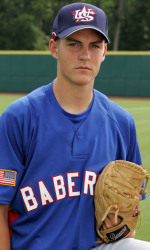 Granted the team of bears scored five runs in just the first inning alone, but it was our handsome pitcher Trevor Bauer- a sophomore this year (talk about talent), who earned the win after striking out 13 batters, further limiting TCU to only three runs (they only got 2 though… bahahah), and four hits in 8 INNINGS! If you ladies just go to the games to throw your peanut shells on the floor and guzzle shock top, 9 innings is… well the whole game… do the math. Upcoming the big blue bears will play South Carolina in a best of three championship series starting on Monday and continuing Tuesday and Wednesday. You can tune in to watch our heartthrob Bauer at 4:30 p.m. PT on ESPN. 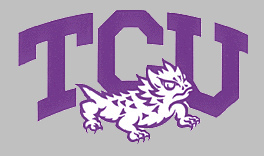 Sadly, for the Horned Frogs, TCU’s tumbleweed starting pitcher Winkler surrendered three runs and two hits 🙁 However to be fair, the Horned Frogs did stay within half the margin of the bears… until the bottom of the sixth, when the Bruins took an 8-3 lead… muhaah. Finally our stud- Bauer finished his eight-inning start by striking out the side in the top of the eighth, then finishing by striking out the last four Horned Frogs at bat. Nice work Bauer! With your 10-plus strikeout streak in the past four games your future is looking as strong as your right arm!